A heat pump is a big investment in your Marble Falls, Texas, home. The condition of your heating and cooling system will determine your indoor comfort level and your energy costs. The easiest way to keep your home comfortable and your energy bills low is with annual maintenance. You want your heat pump to last as long as possible. A new heating and cooling system installation is expensive. Studies show a direct correlation between the lifespan of an HVAC unit and proper maintenance. The average life expectancy of a heat pump in Texas is 10-15 years. However, a lack of annual maintenance can shorten the lifespan and increase the odds of significant repairs. The longer your heating and cooling system lasts, the longer you can avoid the hefty expense of heat pump replacement. Annual heating and cooling service includes thoroughly cleaning the unit. Your HVAC technician will ensure that every bit of grime and dirt is removed. Clean heating and cooling systems perform efficiently. A dirty heat pump that’s clogged with grit might be up to 30 percent less efficient. If you want energy efficiency and manageable energy costs, never skip annual HVAC maintenance. Heating and cooling systems that receive annual maintenance require up to 95 percent fewer repairs than poorly serviced units. Studies have confirmed this repeatedly. Your service technician will be looking for potential problems. 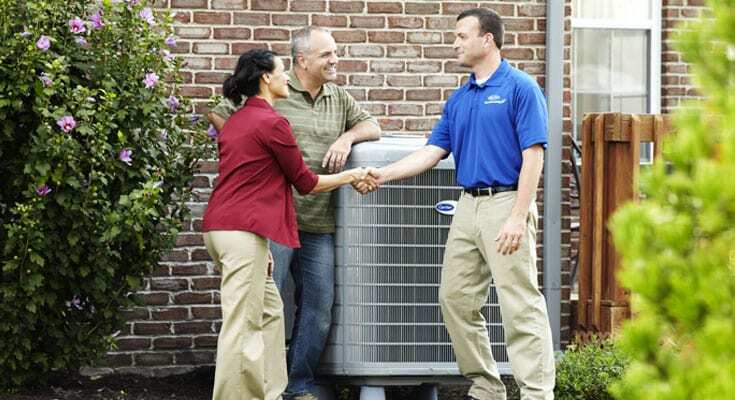 When you identify and correct issues early, you’ll avoid costly heat pump repair. HVAC warranties remain in effect only if the equipment receives annual maintenance. The price of a repair that would normally be caught during a maintenance visit could easily exceed the cost of annual maintenance many times over. There are other value-added benefits of heating and cooling system servicing. You’ll enjoy greater indoor comfort. You’ll also have cleaner indoor air. Clendennen Services preventive maintenance plans give you all the benefits of annual equipment servicing. Learn more about why heat pump maintenance is so important by visiting us online. Call us at (830) 282-4337 to schedule a tuneup and start saving money today with heat pump preventive maintenance.